Create a tab for fans to review your business, products and more. Call it "Testimonials" and enable fans to add their feedback! Available at the Gold and Platinum Plan levels, the Social Review app allows Page Admins to setup a Page where fans can give input. Page Admins can select to have one comment stream, or to add multiple areas, each with it's own unique stream of comments. Some brands have used the Social Review tab to get input on possible new logos, new products, or input on specific store location customer service. Pre-Approve all Entries before they are Live on the Tab: The Platinum Plan offers the additional capability for Page Admins to set review to "Must Be Pre-Approved" which means that no comment is live until the Page Admin reviews it and makes it live. Page Admins have full control to hide or delete comments that do not meet approved standards outlined. KEY FEATURE: Have one comment stream on the tab or have a unique comment stream per image. This allows you to have one unified comment thread or individual threads per image (different products/services/ideas). Why Social Reviews? Because Facebook's Comments Social Plug-in uses an algorithm to only display relevant comments to each user. So not all comments are displayed and different viewers might see different comments if using simply the Facebook Comments tool. Not so with Social Reviews! Social Reviews will show ALL viewers ALL the comments and also gives the user the ability to post the comment to their profile News Feed. See to it that you're in the Manager section and then select the Add App tab. Next, scroll down the page and stop at the Social Apps section. Seek for the Social Review App and click the Add+ button. Upon clicking the Add+ button, you will then be directed to the App Builder page. There are two sub-settings in this page; the Gallery Settings and the Comment System. The first sub-setting of the App Builder is the Gallery Settings. In this section, you will be required to upload a single or multiple images for fans to comment on. The recommended size for the image you'll be using is 793 x 446 pixels in any of the following format: png, gif or jpg. There are additional settings on the page like the Autoplay socialreview check button where you can activate the autoplay feature of your gallery. Along with this section is a drop-down menu called Image rotation speed. The second sub-setting for App Builder is the Comment System. The administrator of the page can set how visitors can add their comments; it can be via Facebook or a Form. Another option in the page is choosing among these two commenting features: Single comment feed or to Comment feed per image. You can also set as to who are the users you would like to notify via when someone makes a comment on the page. Simply add their e-mail addresses to its corresponding empty field beside this option. On the other hand, if you want to set to pre-approve each of the comments before they would go live online, just tick the "Require comment approval" option. Remember that this feature is available only to Platinum users. Lastly, the Manage Comments button located below enables you to hide or delete any comment that is submitted to the tab. The Facebook Settings page enables us to publish our app to Facebook in a tab form. Simply link to this app your Facebook fan page, specify the name of your tab, upload a 111 x 74 pixel logo and select an icon from the provided list to represent your tab. Situated in the bottom-right corner of the page is the "Create your own application". It does exactly what its name implies. After your app has been created, you'll need to key in your App ID and App Secret on the empty fields beside them. The Promotion Tools section is the third setting from the list. It is consist of three sub-settings namely Social Sharing Options, Blog/Web Call-out Tool and Post Planning. With the help of the Blog/Web Call-out Tool, you'll be able to create a promotional call-out. All you have to do is upload an image and then the tool will provide you an automatically-generated embed code. This code serves as your call-out image which you can place on various sites and blogs. Once this image is clicked by visitors, it will lead them to your tab on Facebook. With the use of the Post Planning feature, you can schedule as well as publish your posts to several social media platforms. To make this happen, we provide three different scheduling tools; these are Hootsuite, Sendible and Buffer. Remember to save your page first before choosing one of these services. For posting, the type of URL we exhibit is the SMART URL since it is PC and mobile-friendly. 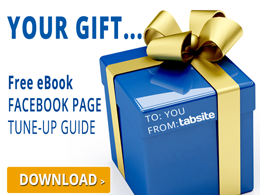 It directs the site visitors to your created Facebook tab. The Gates setting allows a visitor checking tool which determines if he is a fan or not. You will need to upload a photo for your Like Gate Image first with an ideal size of 810 x 810 pixels. When a visitor didn't "Like" your fan page yet, he will only see the Like Gate Image. Once he liked the page, he will then be able to gain access to the contents of the tab. The Advanced setting helps you modify your tab's header image, styles and CSS. Upload an image first having a size of 810 x 75 pixels. The header image will then be displayed beside the uploading area. The Tab Styles section enables you to modify your preferred Link Color, Text Color and Background Color. A color-selecting window pops-up the screen every time you modify each one of these features. You can also customize your app's CSS by using the provided default styles combined with it. The Language setting has two sub-settings specifically General and Comment System. The General sub-setting is the first one under the Language section. It is comprised of two drop-down menus namely "Like button language" and "Tweet button language" where you can customize the kind of language to use in your tab's Like and Tweet buttons. The Share button text can also be customized by replacing the default texts with your own texts. In terms of the Comment System, simply replace the default texts with your desired text version in each of the fields of the Language Settings and Errors. The Global Options make up the Mobile Settings. These options are "Render desktop version on mobile" and "Use like gate on mobile devices". The first option lets mobile users access the app on their mobile devices while the second option uses the Like Gate Image for fan gating purposes. These two options are answerable by either Yes or No. 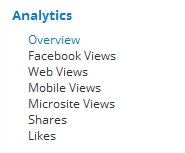 The last section comprising the App Settings is called Analytics. You will be able to view the daily traffic that is entering your app as well as determine their sources. It is represented by numerous graphs such as Overview, Facebook Views, Web Views, Mobile Views, Microsite Views, Shares and Likes. Upon clicking the save button, you will then be forwarded to the My Apps tab. This is the area where all your created apps are stored. In here, you can add another app, test it and publish it consistent with your Plan features. Simply click the "Publish" button to go through the process of placing your app to your website/blog or in Facebook.